The Federal Reserve made significant changes to its economic outlook and policy path that left investors scratching their heads after a knee-jerk rally faded quickly. Adjustments to economic growth and inflation weren’t dramatic, but it underscores this new accommodative phase that could last a long time. Even though independent surveys have suggested the Fed was done with rate hikes and could possibly even see a rate cut in 2019, Wall Street didn’t think the Fed would officially take that option off the table. That’s exactly what the Fed did. As the dots dropped, the Fed’s “Dot Plot” suggested just one rate hike in 2020. The Federal Reserve had the option to indicate another rate hike this year rather than going to zero. That’s why the Q&A segment saw the same question about the state of the economy. Why did the rate hike forecast seem so much more dramatic than an adjusted economic forecast? Powell answered one question: the Fed balance sheet would wind up at $3.5 trillion, which is lower than the new unwinding plan suggested. Be that as it may, the Fed will stop quantitative tightening (QT) at the end of September. Jay Powell gave the Street everything it wanted. However, bond yields swooned, and the inflated yield curve has moved back as a concern. Remember: an inverted yield curve is considered a sure-fire harbinger of a recession, although I think it’s too early to talk about a recession. The final analysis is Powell seemed confident in his convictions even with his contradictions. Wall Street wants the Powell Fed to be able to listen and to move with the markets. If you didn’t think or know Powell would play ball well, now you know. I’m saying move over, Bobby Brown, because it’s all about Powell’s Prerogative. Stocks were all over the place yesterday, bottoming right before the Federal Open Market Committee (FOMC) decision and press conference. 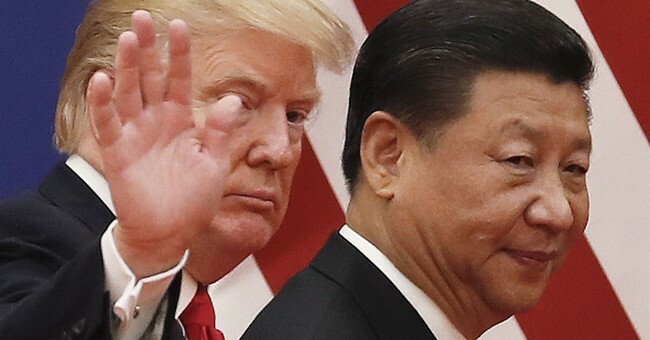 Even after President Trump said U.S. tariffs would remain in place (even after a deal) to make sure China was complying with the terms. I think it’s a great idea, and it should make those concerned about a deal with no teeth feel better, although some of these people will never come around. The NASDAQ Composite remained strong, powered by big momentum names. The Russell continues to be the weakest major equity index as Gold continues to trend higher. However, crude oil was the best performing asset of the session after a massive 9.58 million inventory draw down. During the session on Wednesday, the biggest losers were Financials with regional banks taking 4% hits, along with money center banks that were off more than 3%. In a blink of an eye, two potential rate hikes became none, and bond yields collapsed. Many banks are limited to how much they can make against this backdrop. Micron (MU) and Williams-Sonoma (WSM) shares popped on strong earnings results, and Levi Strauss priced its IPO at $17.00, above the offering range as the deal was significantly oversubscribed. We took profits on an Industrial yesterday and raised cash to 10%. If you are not a current Hotline subscriber, click here to get started today. The market is still grappling with the true message from Jay Powell who professed to have confidence in the economy, but the announced policy path suggests a much greater economic slowdown. I think it’s logical for the market to react this way. But the economic backdrop and trends, including a strong labor market combined with an accommodative Fed, is the best environment to invest. I’m not surprised about no hikes this year, although I thought they would leave more than one hike on the table for 2020.